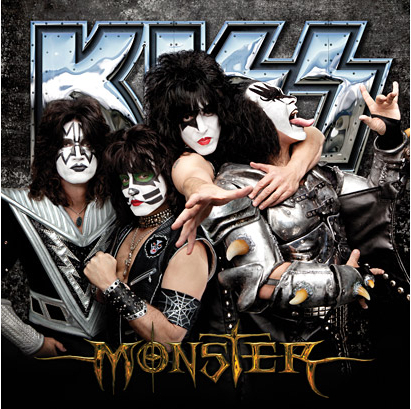 KISS – MONSTER HAS ARRIVED! WOO HOO! A new KISS record! Ok, ok, I know it’s not the complete KISS (Peter and Ace will ALWAYS be missed by me) but this record is quite good. I felt like a little kid again listening to this record. The songs seem back in their classic KISS format. I have always liked the fact that KISS used all four members as lead vocalists on various songs. Granted there is only one Tommy Thayer and one Eric Singer lead vocals the two songs are amazing. “Outta This World” is a fitting tribute to the “Space Man” persona. Tommy’s vocals are solid and his playing is reminiscent of KISS of old. “All for the Love of Rock & Roll” is easily my favorite track on this record. It takes me back to a day when life was fun and everyone was having a good time. Eric handles the vocals perfectly keeping the “Catman” alive and well. Gene and Paul remain steadfast as always leading KISS as they have from day one. So, thank you KISS thank you for a MONSTER record. Do yourself a favor and pick a copy up, even if you haven’t’ been a fan This record might change that!